NEW YORK - Members of a Queens, NY mosque are expressing shock and outrage today following a gunman who shot and killed the mosque’s imam and his associate. Imam Maulama Akonjee, 55, and his associate Thara Uddin, 64, were walking down the street from the mosque when a man shot them in the head. A surveillance video obtained by police shows a gunman running behind the two, firing off the shots and escaping in the opposite direction. Akonjee had been carrying about $1,000 in cash on him at the time of the shooting. The money was on him when police arrived. A neighbor who was a member of the mosque told reporters he believed the shootings were a hate crime. He said anti-Muslim sentiment in the community has been building. Police are not declaring this a hate crime as they try to apprehend the killer. 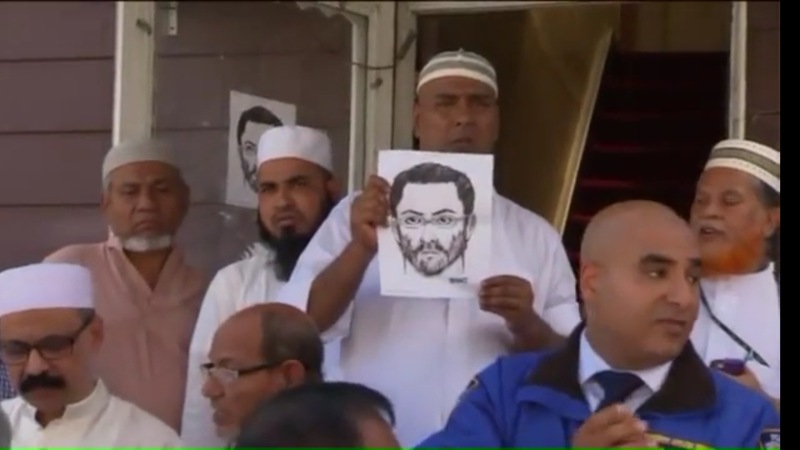 A description of the suspect is being widely displayed.